Born in 1977 in Montreal, Quebec, Berens has always been around painters. His grandparents on both sides painted. He started experimenting with oils in his first year at O.C.A.D and instantly found it to be his choice of creativity. Upon graduating in 1999 with an illustration degree he struggled down the road of editorial illustration only to reach frustration. 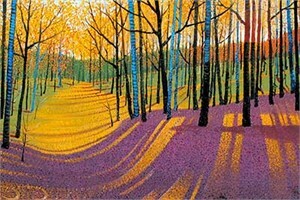 With snowboard in hand and oil paints packed he found himself bound for Whistler in the fall of 2002. The scenic drive up the Sea to Sky highway was reason enough for the trek. Once in the mountains, Mark found the spectacular vistas around him his new inspiration to paint. ”I wasn't "painting" anymore for those art directors. I choose to head west for Whistler. Instantly inspired I reconnected with the outside world and began to paint the mountains. It's been a few years now, the past three being a full-time thing. 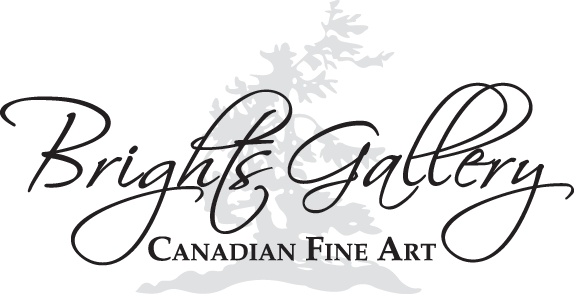 My work now hangs with galleries in Whistler, Halifax, Toronto, Vancouver and Collingwood." Born a Pisces, creativity is something that has always been present in the life of Mark Berens. 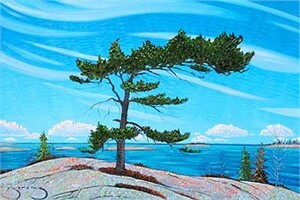 Since his return back to Ontario, his body of work is now dominated by Georgian Bay subject matter, which demonstrates his personal connection to the natural world that cannot help but be inspiring and fresh. Mark recently moved to the Georgian Bay area, and currently resides in the Blue Mountains. 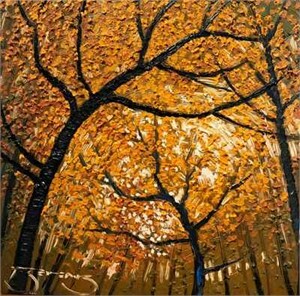 Born in 1977 in Montreal, Quebec, Berens has always been around painters. His grandparents on both sides painted. He started experimenting with oils in his first year at O.C.A.D and instantly found it to be his choice of creativity. Upon graduating in 1999 with an illustration degree he struggled down the road of editorial illustration only to reach frustration. 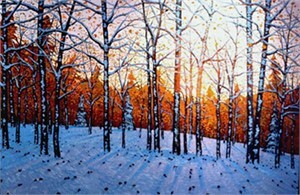 With snowboard in hand and oil paints packed he found himself bound for Whistler in the fall of 2002. The scenic drive up the Sea to Sky highway was reason enough for the trek. Once in the mountains, Mark found the spectacular vistas around him his new inspiration to paint. ”I wasn't "painting" anymore for those art directors. I choose to head west for Whistler. Instantly inspired I reconnected with the outside world and began to paint the mountains. It's been a few years now, the past three being a full-time thing. My work now hangs with galleries in Whistler, Halifax, Toronto, Vancouver and Collingwood." 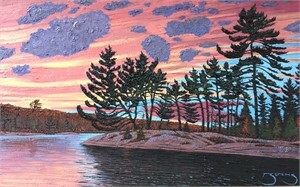 Born a Pisces, creativity is something that has always been present in the life of Mark Berens. 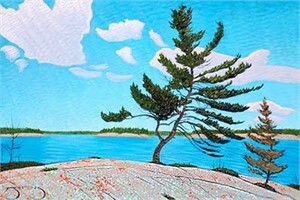 Since his return back to Ontario, his body of work is now dominated by Georgian Bay subject matter, which demonstrates his personal connection to the natural world that cannot help but be inspiring and fresh. Mark recently moved to the Georgian Bay area, and currently resides in the Blue Mountains.